I LOVE THIS! Really beautiful...and I so envy you working in glass. 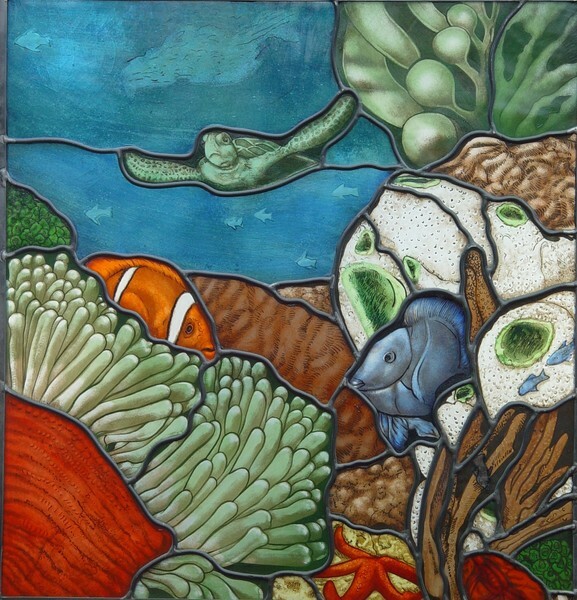 Sherry's love of the art form shows through all the details in her pieces. Your eye flows from one surprise to another in the gorgeous glass. I adore that dragonfly, too, Sherry. Most excellent work, colors, flow and mood!